KWIC All tournament team '78 -'79, WKU. Pictured is Laurie Heltsley. 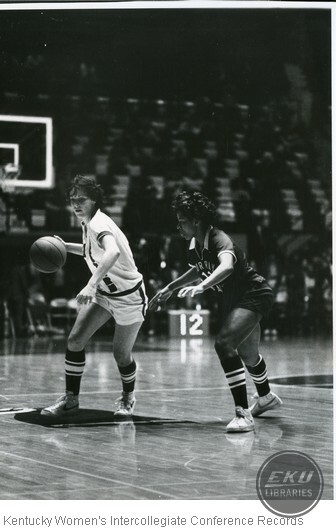 “Basketball - Western Vs. Murray,” Digital Collections, accessed April 26, 2019, https://digitalcollections.eku.edu/items/show/7465.